I got this error when trying to install Moodle 3.3 on a Ubuntu 16.04 server with MariaDB. your_text = u"Nguyễn Trọng Đăng Trình"
Just want to write this down. It's my honor to be the School's Terry Fox Run coordinator last year (2016). The previous person had left without giving me any information about how to organize the event at the school so I have to start from scratch. Luckily, I was able to contact the Cancham, the main organizer of Terry Fox Run Ho Chi Minh City and they helped me a lot. I then created a spreadsheet including everything I need to do to make the event happens (volunteers, logistic, t-shirt sale, contacts, date and time...). I also made this a template and share it with the committee hoping that it can be useful for other organizations that want to join the effort. The registration and T-shirt sales went well and we met our goals. SSIS volunteers (students) are very helpful and they were really pro-active to deal with problems during the run. 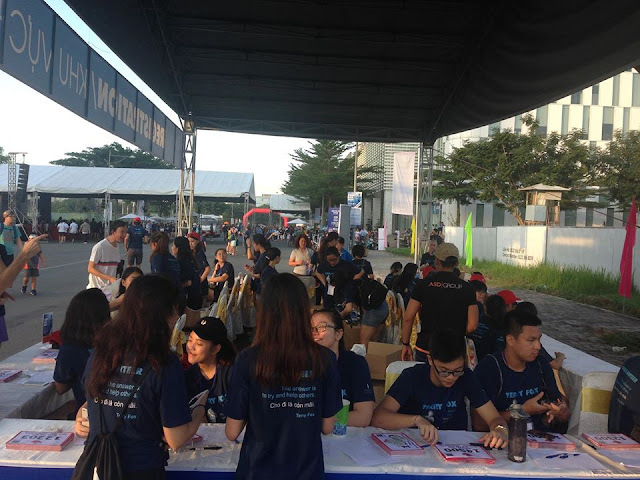 They made the Terry Fox Run HCMC 2016 a huge success. I was very proud of them. Terry Fox Run HCMC 2016 will be a great page in my memory. In the Insert MediaPlayer panel, make sure you set type of the video is : video/mp4. One of my windows servers was using 100% CPU very often. Every time it encountered that usage level, I had to restart the server. That fixed the issue at that time but then It would come back later. So after looking deeper into the problem for a while, I finally figured out what causing it and how to fix it. 1.Go to Start > Control Panel > Administrative Tools > Internet Information Services (IIS) Manager. 2. Expand the view to [Server Name] > Application Pools. 4. Under Process Model section, set the Maximum Worker Processes... to 2 or higher. 5. Click on OK to save the settings. 6. Restart the App Pool by right clicking and select Stop then Start.